Credit report errors can be a serious problem and need to be addressed by intelligent and persistent lawyers on your behalf. Your credit report is more than just a snapshot of your borrowing habits. It is a powerful tool used by lenders, landlords, and employers to determine factors such as your financial stability, the amount of debt you currently owe, and even the amount of risk a lender or employer takes on when working with you. Thus, credit report errors can affect your chances of securing a low-interest loan, getting the job you want, or finding the perfect home. The credit report law firm of Blankingship & Christiano, P.C. can help you protect your rights by correcting credit report errors in Northern VA and putting a stop to the effects of identity theft. potential landlords before you can sign a rental agreement. banks, car dealerships, and mortgage or student lenders before you can secure a loan or receive a specific interest rate. utility companies and mobile service providers. insurance companies, including health, homeowner’s, and auto insurance. You have the right to obtain an accurate credit report. Knowing the most common credit report errors that occur can help you catch problems in your credit report immediately and act quickly to contact a credit lawyer for a resolution. Identity errors may occur for many reasons. Credit reporting bureaus can mistake one individual for another, resulting in false information. Alternatively, using several names or versions of your name and identity theft can also affect the information on your credit report. Marriage and divorce can affect how your finances—and thus your credit score—are handled. If you have been recently married or divorced, your credit report may be inaccurate. Mistakes in the status of your accounts or payments are common. Your report may have accounts showing as open that have been closed, incorrect information regarding the status of payments, or other outdated information about your finances. In some cases, past delinquencies that have been remedied may not show as such on your credit report. This can affect your score by making it look like these delinquencies are still open. It is important to understand your consumer rights in order to fully take control of your personal finances. You should know that you have the right to consult a credit lawyer at any time. If you have a credit dispute and live near Fairfax, a credit lawyer will guide you through the process and advocate on your behalf. Your credit report attorney will also ensure that you do not make the following common mistakes. When you obtain your credit reports, you may have not read the terms of agreement on the credit reporting bureau’s website. If so, you may have automatically agreed to a binding arbitration clause. This clause prohibits consumers from initiating litigation against the credit bureau. This does not prevent you from disputing a credit report error; however, if the credit bureau fails to correct the error and you agreed to the arbitration clause, you do not have the right to file a lawsuit. To preserve your right to a trial by jury, you must mail an opt-out letter to the credit bureau within a certain period of time, usually 30 to 60 days. Many consumers decide that it is easier to dispute erroneous information with the furnisher, rather than with the credit bureau. Although it is certainly possible that the furnisher is amenable to fixing the mistake, it is best not to assume that this will happen. Instead, mail your dispute letter to both the furnisher and the credit bureau. When the credit bureau receives a dispute letter, it is required to initiate the investigative process. Then, if the credit bureau fails to correct the mistake, your credit lawyer can initiate litigation against it. Credit bureaus may encourage consumers to submit short dispute forms online, which they claim are convenient and easy to use. While this may be true, credit report attorneys generally do not recommend using these online forms. Instead, take the time to craft an exhaustive dispute letter that contains all the information you have about the disputed issue. Provide details of why the information is inaccurate and attach copies of any supporting documents as evidence. Understanding the information on your credit report is the first step in identifying errors. 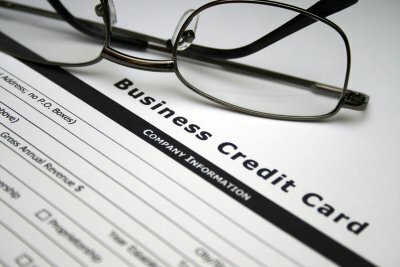 You can reach a qualified credit attorney near Leesburg for more information about filing a credit report dispute by calling Blankingship & Christiano, P.C. at (571) 313-0412. The “Identifying Information” portion of your report contains your name (including any other names or nicknames you may have used), Social Security number, address, and other personal information. Always check the accuracy of all information in this section. The “Trade Lines” section of your credit report outlines your credit lenders. This includes mortgages and real estate loans, credit cards, and installment accounts such as car and other non-property loans. “Credit Inquiries” refer to inquiries regarding your credit, either made by you (voluntary) or by other creditors (involuntary). “Public Record and Collection Items” are public records obtained from state and county offices or courts regarding actions taken to address overdue debt. These include liens, wage attachments, lawsuits, foreclosures, and bankruptcies. There are several different types of credit reports an individual or institution may request to evaluate your credit history. Traditional credit reports may be generated using information from one or all of the three established major credit bureaus (Experian, Equifax, and TransUnion). These credit reports are based on your credit history, public records related to your financial status, and any inquiries that may have been made into your credit history in the past. A non-traditional credit report is used to evaluate individuals who have little or no history with traditional forms of credit, such as credit cards or loans. This type of credit report is generated using other forms of financial data, such as your apartment rental history, your utility payment history, school tuition payments, insurance payments, and any rent-to-own products you may have purchased. Are you concerned about identity theft or credit report errors in Fairfax, Alexandria or the surrounding areas? You can reach an experienced credit lawyer at Blankingship & Christiano, P.C. for help by calling (571) 313-0412. If you have suffered damages due to credit reporting errors, it’s advisable to retain legal services as soon as possible. At Blankingship & Christiano P.C. , we have represented individuals like yourself to dispute credit reporting errors and fight against the resulting damages. The financial repercussions of these types of errors on behalf of lenders, creditors, and credit agencies can be devastating. We’re here to help you resolve the situation as quickly as possible and get your life back on track. Credit report errors are more common than you think. However, a single mistake can leave you with credit-related problems you don’t deserve. The best way to handle a credit report dispute is to work with an experienced credit lawyer to rectify the situation and correct your report. Blankingship & Christiano, P.C. is a consumer protection law firm near Leesburg dedicated to protecting you and your consumer rights. Our fraud lawyers will exercise every option to ensure errors are corrected and your credit dispute is handled quickly and properly. At our law firm, we combine our decades of knowledge and experience to provide you with the best possible representation. Our dedication is to do everything possible to restore your good name and credit. If appropriate, we may take action against those who misrepresented you. Contact us now at (571) 313-0412!